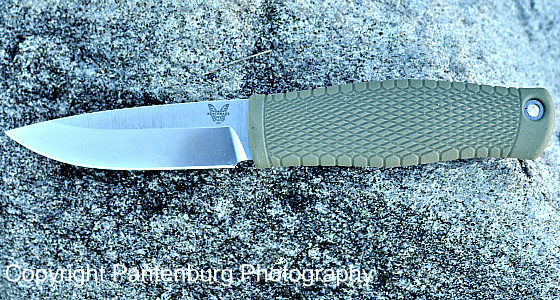 An important consideration for your survival knife is the design. 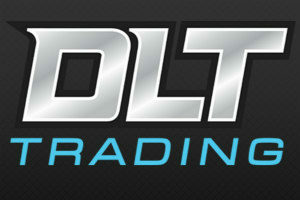 The point will determine some of the uses, and how effective the blade will be at different tasks. Here are some things to consider about point designs. Knife points, or tips, come in every configuration under the sun, and you can get what ever you want. So when newcomers ask for recommendations on blade designs, there really is no best choice. But the point is a really important part of the blade design, and it will help determine how effective the knife is. A butcher needs a different point on his knife than a flooring installer does. An upswept skinner point probably won’t work all that well for wood carving. 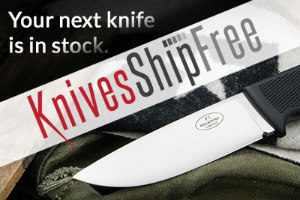 And a knife for filleting fish will need a different point than a fighting knife. What is the blade going to be used for? 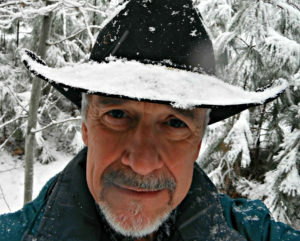 A good hunting knife, with a stiff, four-to-six-inch blade, is not the best choice for a fishing knife. You can’t fillet fish all that well with a hunting knife, and a thin flexible filleting knife wouldn’t be the my choice for gutting an elk. Neither is the best choice for wood carving, where you might need a two-inch blade with a four-inch handle. Decide what you’re most likely to need the knife for. Reliability: It goes without saying that any knife associated with the outdoors should be reliable and a sturdy, tough piece of equipment. But in an urban setting, the best survival knife choice might be a small pocket knife on a key chain. Either knife must have top quality steel and a sturdy handle. Ease of carry: A knife that is not convenient to carry gets left behind. Make sure that whatever knife you get is handy to pack. So that brings us to the point (pun intended!) For my personal hunting/fishing/survival/everyday needs, I have narrowed point selection down to a few choices. 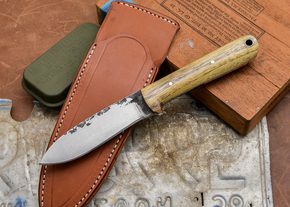 A drop point is a good choice for a multi-purpose knife. From top: C.T. 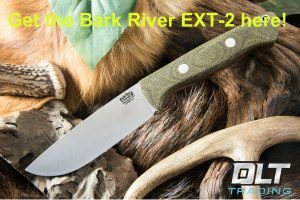 Fischer Four-Inch Bushcraft knife, Bark River Bravo LT and Cold Steel Master Hunter. 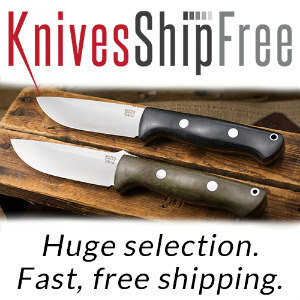 “The back (unsharpened) edge of the knife runs straight from the handle to the tip of the knife in a slow curved manner, creating a lowered point. I really like the drop points on my Cold Steel Master Hunter, Bark River Bravo LT and C.T. 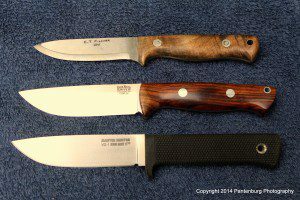 Fischer four-inch Bushcraft knives. I find it to be a good all-around choice. Clip: The clip is really a variation of the drop point, and is generally associated with Bowie knives. Clip points are a good overall choice for a survival knife. From top: my first knife, Cold Steel SRK and Bark River Sahara. The first knife I made has a six-inch clip point blade. I was about 13 at the time, and from my reading, and various TV shows, had determined that a clip point would be the best choice for hunting in Iowa. 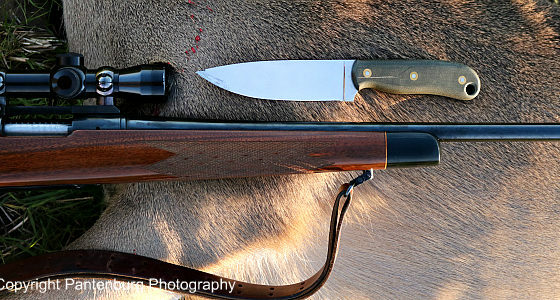 Come to find out, the blade was way too big for processing small game animals, and I ended up using my Stockman model pocket knife for just about everything. 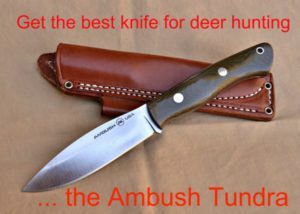 But I used a Buck folding hunter with a clip point for deer hunting for years. 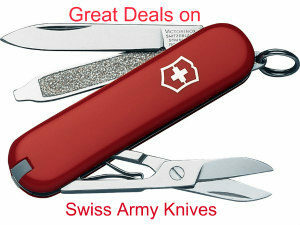 It has the right combination of upswept point for gutting, and enough belly on the blade to be a good skinning knife. When I replaced my trusty Buck with a survival knife, I got a Cold Steel SRK with a clip point. Spear: This point is right in the middle of the blade, hence the name. It is a very common point on broadswords or stabbing weapons, but is also useful for a survival knife. There is enough belly to make it a passable skinner, and the point is another good all-around choice. As a weapon point, this might be the best choice. It make a good choice for thrusting and slashing, and in general, anything you’d need a fighting knife for. 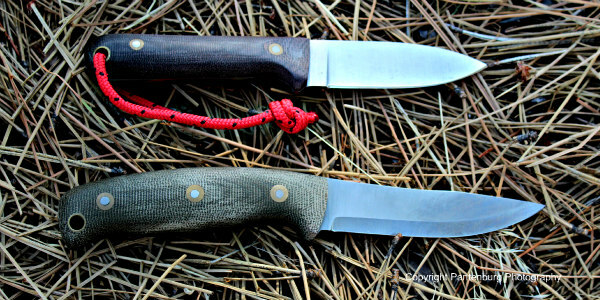 My Boy Scout knife, and the legendary Kephart pattern bushcraft knife have spear points, and they are good all-around cutlery choices. 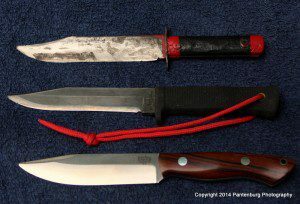 TANTO: The two Samurai swords my dad brought back from the Pacific in World War Two have tanto points. 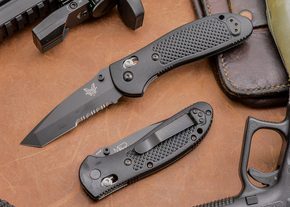 Most tantos on the American cutlery market are Americanized formats, according to Benchmade knives. Like the Japanese tanto, the Americanized tanto has a high point in-line with the pivot. A flat grind is applied to the point, leaving it very thick and extraordinarily strong. This thick area helps absorb the impact from piercing, as the tanto was originally designed for armor piercing. The front edge meets the bottom edge at an obtuse angle rather than curving to meet it as seen in the Japanese tanto. A negative aspect of the tanto blade shape is the cutting surface area is sacrificed to gain tip strength. My long-time favorite is the clip point. But I have many styles of knife designs, and depending on the task at hand, any of them, in a certain circumstance, might be the best choice. 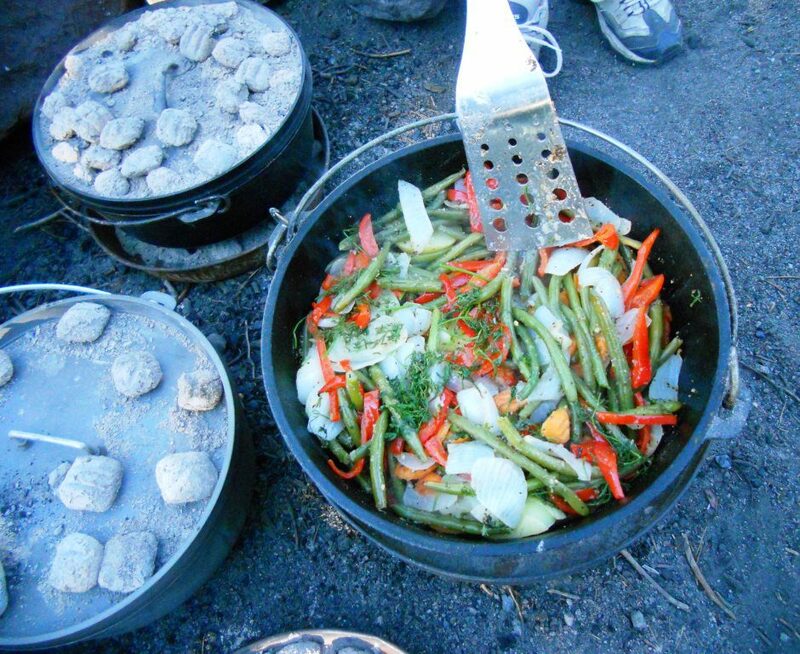 As always, remember that ANY piece of survival gear has to work for you. Research and invest accordingly.